CHRISTMAS is right around the corner! Are you already getting into the holiday spirit? This year, Christmas falls on a TUESDAY MORNING! 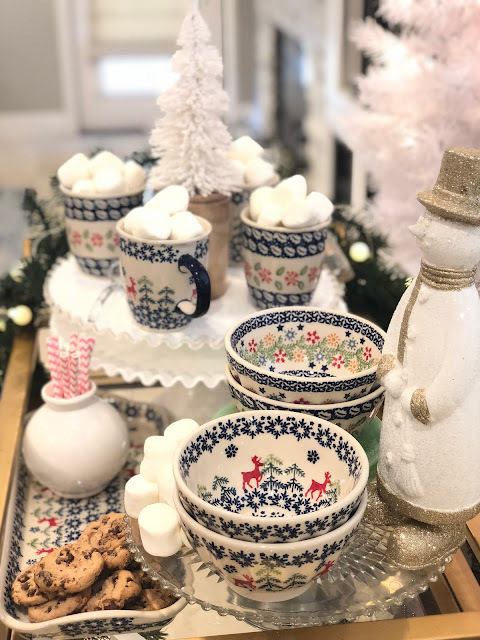 Which is no coincidence, because we've partnered with Tuesday Morning to bring you their seasonal collection of holiday items! I know what you're thinking . . . it's too early! Halloween isn't here yet! But what we've learned in our many, many years of steals, deals, and decorating is that you can never be too prepared or too early for Christmas! Especially when the hot items sell out! And let me tell you, these items are beautiful, affordable, and high-quality. They're so fun! These are not your typical holiday ornaments and decor. What we loved about this collection was that you won't see them in everybody's homes because they're one-of-a-kind. That's our favorite kind of decor—not mass produced! Tuesday Morning's collection was handmade in Germany and Poland. Tuesday Morning has new deals on Christmas decor EVERY DAY. And these European items are high quality, but low cost. That's what we like to hear because we love shopping great deals. These are some pieces we picked up on our visit there last week. We brought them home, pulled out the tree, and cranked up the Michael Buble because holiday season is here! What's Christmas without ornaments? Sue collects vintage ornaments, so she was excited to add something new to her collection! At Tuesday Morning, there are so many options to choose from. Whatever your decorating style is, you can find something you'll like. 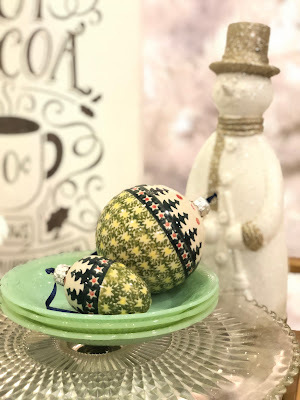 Keep it fresh with your ornaments and use them in unexpected ways! A look at some of the ornament collection! Beautifully handcrafted. 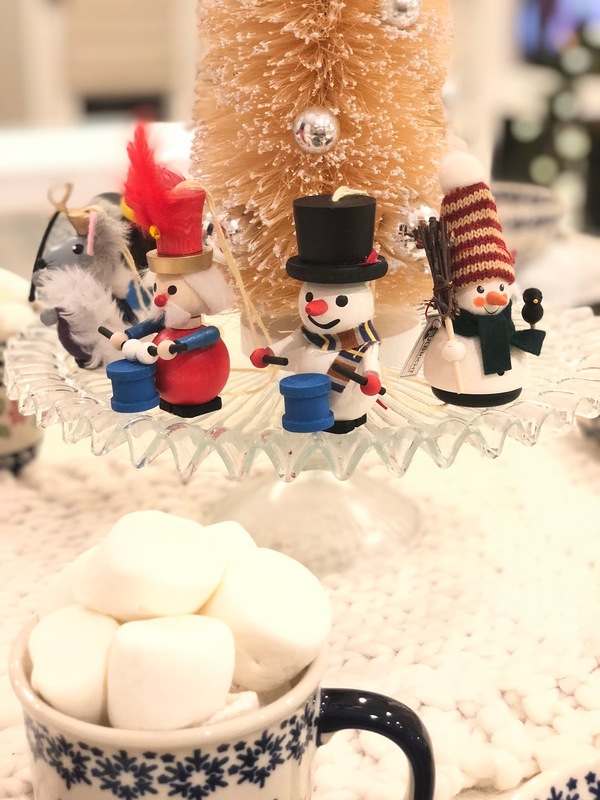 We love the tiny tree details! We used our vintage scale to style these items! The Nutcracker totally completes the look! How cute is this Nutcracker? We had such a hard time choosing just one! 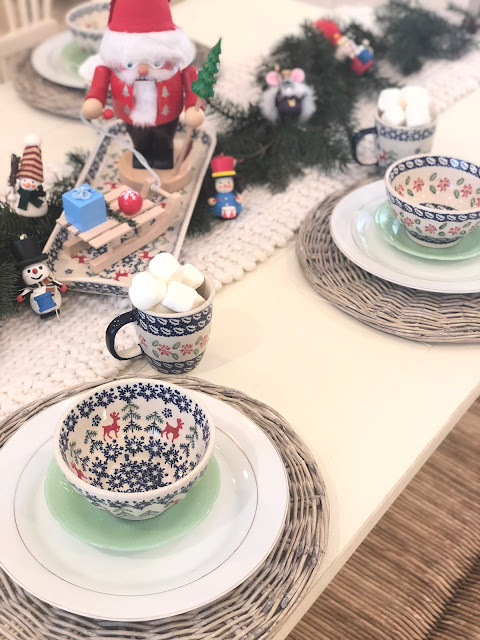 There were so many cute styles to choose from and we know that each year we will add a new one to our collection, so this will be something to look forward to each Christmas! 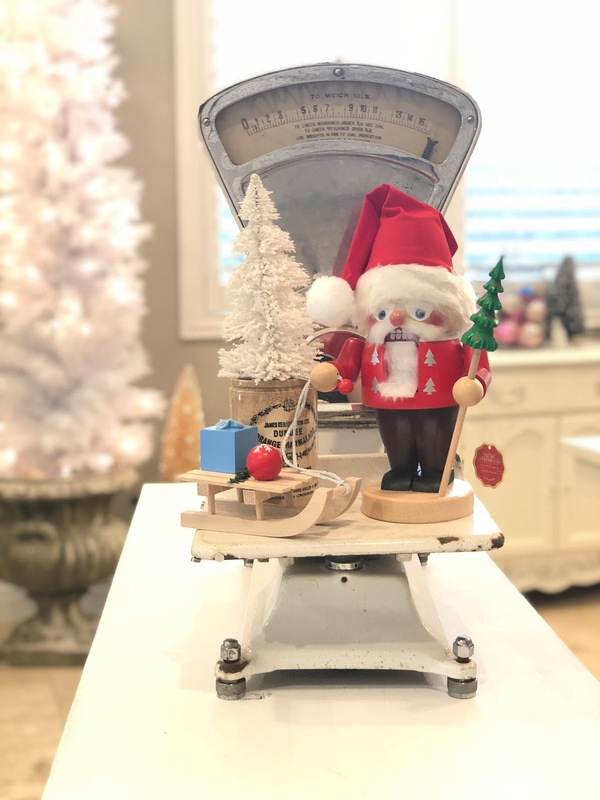 One thing that we loved when we were checking out was that these Steinbach Nutcrackers come with a special box for easy storage when Christmas is over. It's a way to keep it nice and safe until we want to use it again. 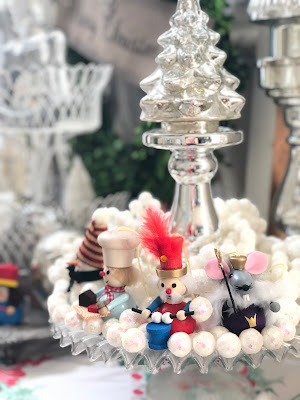 These nutcrackers can be used in many ways, like a great table centerpiece or as Christmas decor around your home. It's a wonderful, timeless, classic Christmas piece that we think you will love. Check out these beautiful pieces for your kitchen! 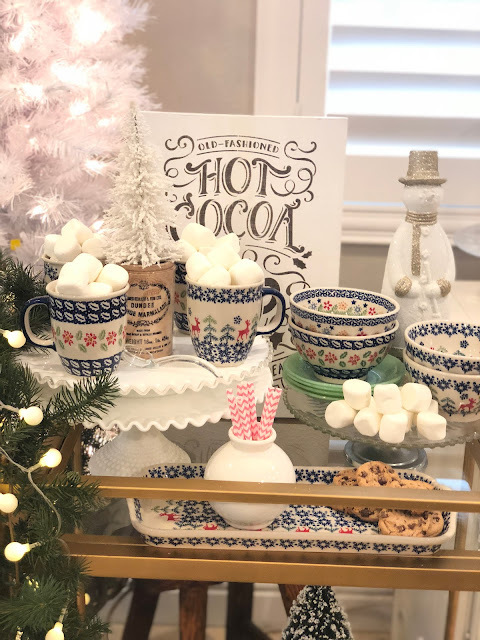 We picked up some bowls, mugs, and trays for our hot cocoa bar cart set up! 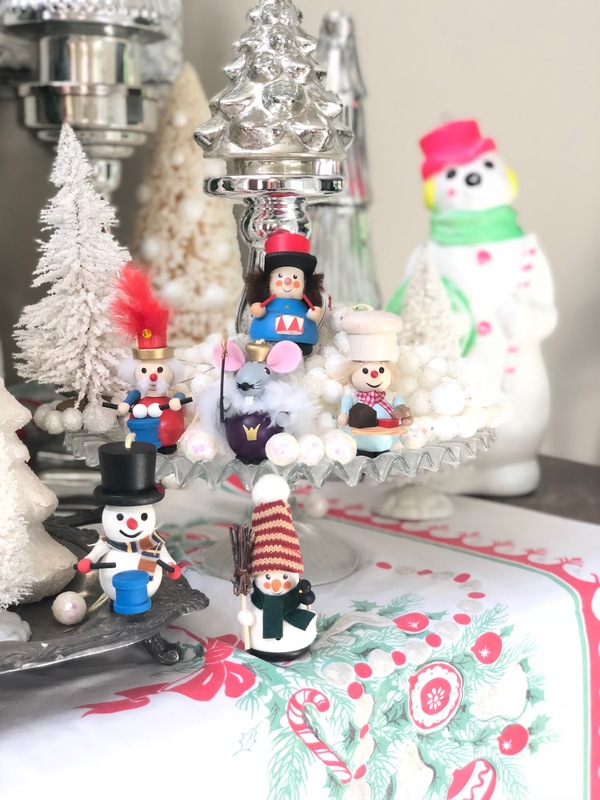 These Polish pieces were handmade and they bring so much holiday style into the home. Styling the bar cart is one of our favorite things to do, and these new pieces made it so easy and fun. We played around with marshmallows, cookies, bottle-brush trees we had, and the new mugs, bowls, and trays really made our bar cart special! How cute are these little reindeer on the bowls? Love that detail for the holidays. Would you eat off this bar cart? We would! The bowls were $7.99, the cups were $8.99, and the tray we used on the bar cart was $24.99! (compare at $60-160) We couldn't believe the deals we found. 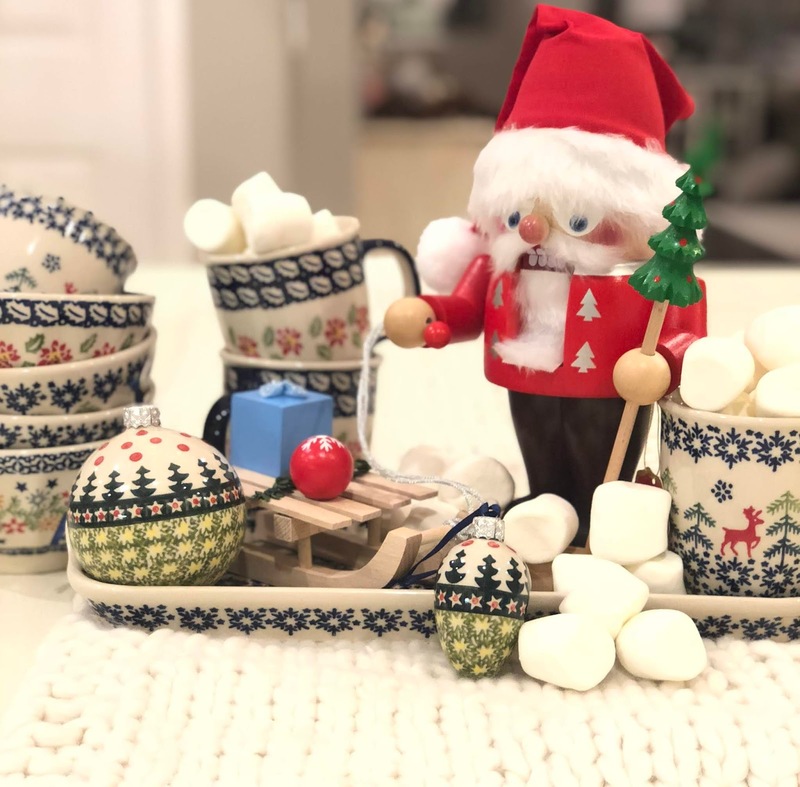 This cute, Scandinavian-like style is such a hit—all we need is some pumpkin pie and some hot chocolate and we are in business! We could style and decorate with these items all day. 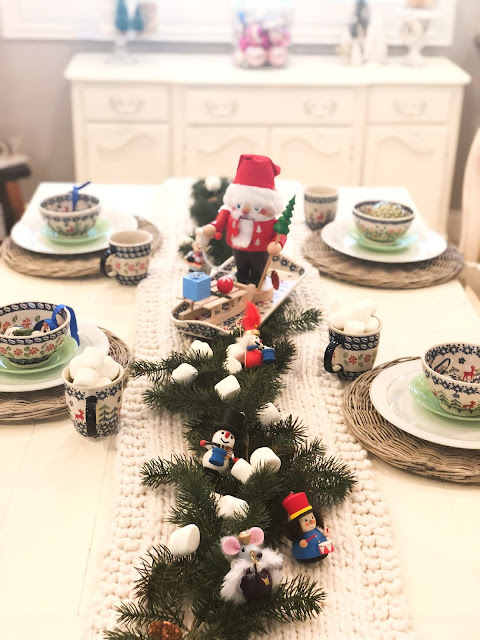 Check out more of our Christmas styling below to get ideas for your own home! And head over to your nearest Tuesday Morning store for unique and beautiful items! Halloween Haunted Home Decor EASY Tricks and Tips! When October comes around and you see the bats, witches, and spider webs, do you want to skip right ahead to Christmas? I have to admit I was one of those people. I really struggled to decorate for Halloween when my kids were little. I think it was because I really didn't like the color orange and just did not know how to make it work in my house. I have a lot of fun with it now mostly because I realize I just don't have to use the color orange and I know I can pull neutral colors into my decor. 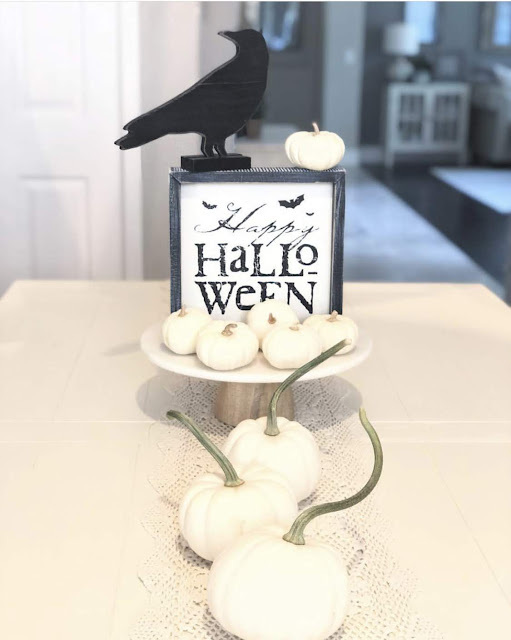 Here are some fun ideas to spice up your Halloween holiday decor! Be sure to scroll down and find the FREE HALLOWEEN PRINTABLES! Pumpkins are a must-have for Halloween. Little baby boos are fun to decorate with and you can usually find them in any grocery store. They are affordable and so cute! This year I was able to find some with long winding stems that are pretty cool looking! 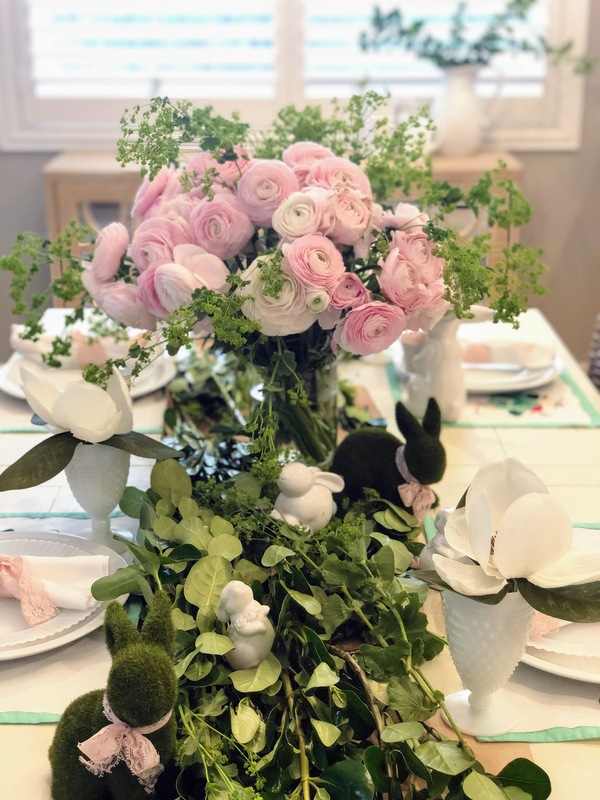 They are perfect for tablescapes or place settings. Find a great throw pillow that will go with your decor. This is such a fun way to decorate and there are so many options with pillows. You can often purchase pillow covers, which can be stored easily when the holiday is over, leaving the pillow form to be reusable for the next holiday. These fun pillows are from www.krumpetshome.com. Save any size bottle that you like—cider, wine, etc., any bottle will do for this project. Don't worry if the Modge Podge goes directly onto the bottle—it will dry clear. Let it dry completely. That's it! You are done! So simple. I printed these labels from Pinterest. There are so many free labels, and I've included a few down below. 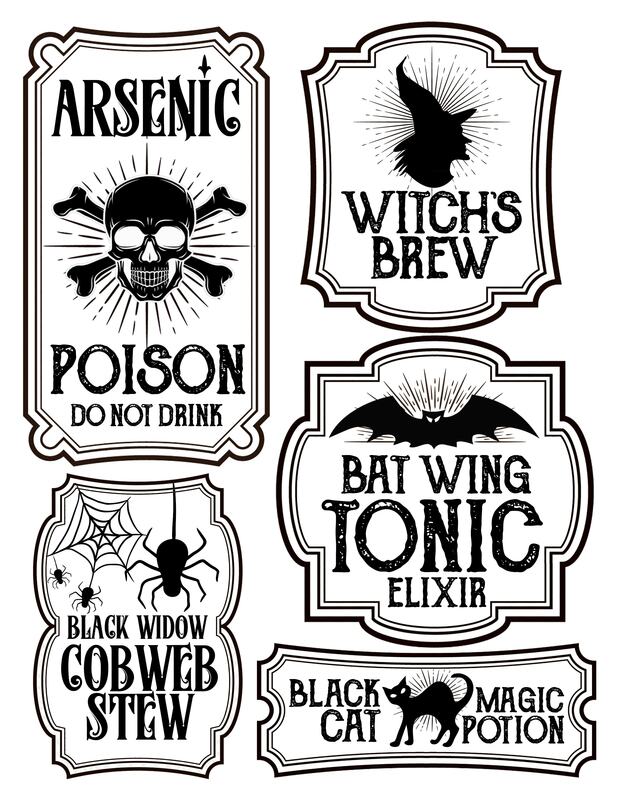 Click the link and get your FREE PRINTABLE HALLOWEEN labels! You will find many more options on Pinterest! 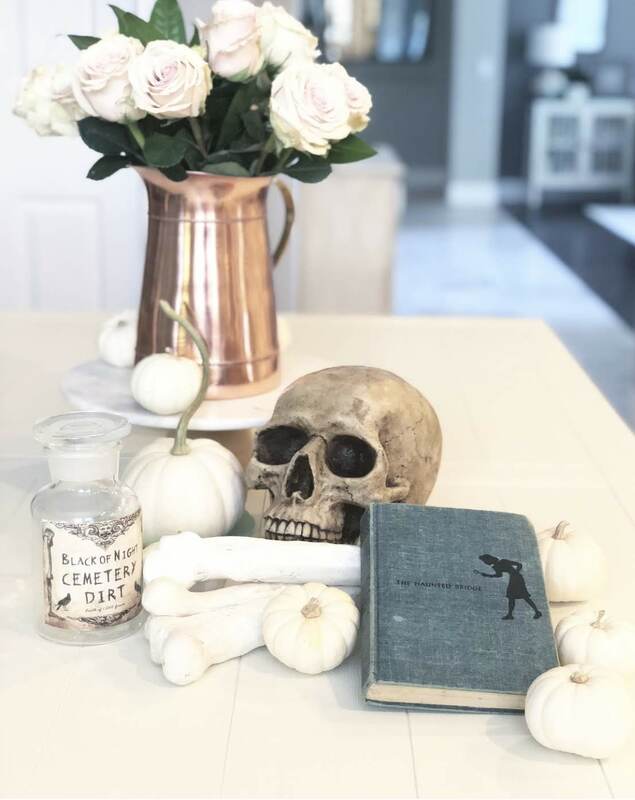 I love to find old books at thrift shops or garage sales to use in my Halloween decor. Try to find books with haunted titles in them or scary titles. Anything with clowns or mysteries will do well too. Group books together or tie them up with twine and lay them near other Halloween decor! Try going through your children's books . . . you never know, maybe they have something you can use. It costs next to nothing. These books you see in the picture were 50 cents each at a garage sale. And that's all there is to it! What decor tricks or treats do you use? IN OUR COMMENTS SECTION, WE WOULD LOVE TO HEAR FROM YOU!